Somewhere in the midst of wrapping presents and slurping bean, December managed to sneak in and produce a week while I was not writing! 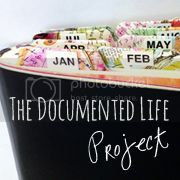 I personally think that if I don't blog on here, that should make the Calendar 'stop' and allow me some time to catch up! On my balcony (where I should be checking my plant pots more often!) a Very Rare Snowdrop variety have taken it into their silly heads to Bloom in December rather than wait 'til February! Then in the Post we received a wonderful 'just because' gift from our dear friends the F's. 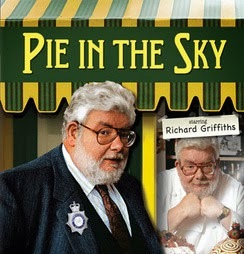 It was the complete series of the Brit TV show 'Pie In The Sky' which we had honestly forgotten how Good It Was! What a great gift and reminder! 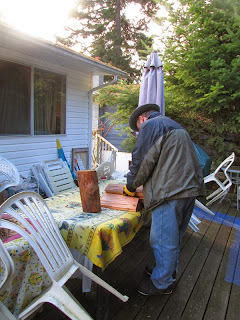 We decided to make a Night Out Of It, so Mr Bear went out and chopped some kindling, after which we lit a good blaze in the Copper Woman and settled in to watch. Blessings of unexpected Gifts to you all.